David McDonald, a professor of Russian history, says Vladimir Putin offered to "make Russia great again" following the collapse of the U.S.S.R.
How did a Leningrad street kid become one of the most powerful men on earth? Just what does he plan to do with that power? Well, the answer – just like the kid and the hulking country he now rules - is complicated. It does not help that the country in question is, to quote Winston Churchill, “a riddle, wrapped in a mystery, inside an enigma.” But an upcoming lecture in Middleton will offer ample clarity and insight to help Americans understand the country that created Vladimir Putin, and the country Vladimir Putin is currently working to create. “When we look at Russia in the last 180 or 200 years, we tend to see ourselves as normal,” explains David McDonald, a celebrated professor of Russian history at the University of Wisconsin. Russia, that ancient, wild marriage of contradictions – full of lavish monarchies and primordial wilderness - is often seen by westerners as the typical, alien “other.” Russians are seen as perverse, or backward, or simply far behind the west on humanity’s assumed march toward the future. “I think in many ways the west, particularly America and Britain, kept waiting for Russia to ‘come to its senses,’” explains McDonald. But the reality is far more complex. The fact is, whether the west wants to admit it or not, Russia has “taken a different approach to building a society” than we have. They have taken a different approach to security, and to order, and to economics, he adds. 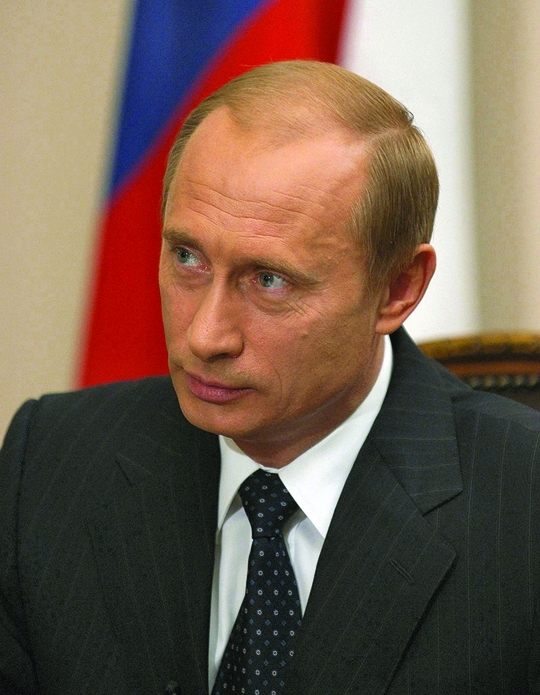 McDonald will present “Putin’s Russia” at the Middleton Public Library on Thursday, March 9, at 7 p.m. It will be a talk worth attending, and worth talking about with your friends afterward. In addition to his many academic credentials, McDonald is also in a unique position to understand Russia and Russian culture. He began studying Russian language in high school, in Canada, and then traveled to Leningrad as part of an extended collegiate study abroad program that would launch a long career. “What I saw and experienced did not in any way correspond with what we had been told [about Russia],” he recalls. “When I got there, at the age of 20, I quickly learned that the place was a very complex society in which there was an unmistakable, but not inescapable, state presence,” McDonald recalls. Any illusions he entertained about communism’s “ruthless efficiency or infinite reach” quickly evaporated, however. So, why should Americans make an effort to understand Russia? Well, because it created Vladimir Putin. And he will, according to a report in the Moscow Times two weeks ago, likely remain in power until at least 2024. According to McDonald, Putin grew up a “street kid” in Soviet-era Leningrad (today’s St. Petersburg). Through a mixture of guile, intelligence and determination, he earned a law degree, then got a job with the KGB. Then, as is often the case when the KGB pops up on someone’s resume, things get a little fuzzy. Was Putin, as an agent in East Germany, deeply traumatized by the things he saw as the USSR began to collapse? McDonald says some people think so. Whatever Putin did (or did not do) as a KGB agent, he emerged as the protégé of a prominent reformer in Leningrad, and he wound up in charge of foreign investment. When Russian President Boris Yeltsin prepared to resign, it was Putin he tapped to replace him. Yeltsin, who looked very much like the creation of a caricaturist trying to stereotype a Russian man, was viewed with derision by many both the west and his homeland. He was, according to the more critical pundits of the day, just a big drunken joke in a fur hat. According to McDonald, the truth, yet again, is more nuanced. Yeltsin’s health was in shambles by the end of his presidency, and many of the scenes that gave rise to vodka jokes were actually rooted in soaring blood pressure and other medical problems. Putin was named as Yeltsin’s successor, and he has never looked back. The former street kid has been elected by popular vote three times, and for most Russians his leadership is associated with an unprecedented era of prosperity and national dignity. “He rode a great wave … of oil prices,” McDonald says. He also worked to consolidate his power. “He brought back order and dignity,” McDonald says of the way Putin is viewed there. “We was young, he was educated, he could talk street, he could talk tough,” he explains. In America, Putin is often looked at as a malevolent dictator - a man who controls the media, the military, and the purse strings of an entire nation. He is, to many, a monster. That, at least, is how the west views him. But that is not how he is viewed by most people in his own country. Those who attend McDonald’s talk in Middleton will likely have their eyes opened in much the same way his were when he first saw Russia for himself. “As a result, I’ve tried to see how a system which strikes us as alien and foreboding commands the loyalty, never uncritical, of many Russians who find the current situation as distressing as many in the west do, rather than trying to measure them against our own historical experience and values - neither of which they have lived through,” he adds. McDonald’s expansive understanding of history, his articulacy and his first-hand experiences all make him perfectly suited to help Americans see the real Russia, and the real Putin, in new and enlightening ways. And because of the Russian diaspora, many of today’s great scientists, artists and thinkers – including those here in the American Midwest – can trace their roots back to Russian soil. In short, Russia matters. Just as it did 300 years ago. Just as it did in the 1980s. And just as it will tomorrow.